If you aren’t of age to view adult material in your area, then this blog isn’t for you. 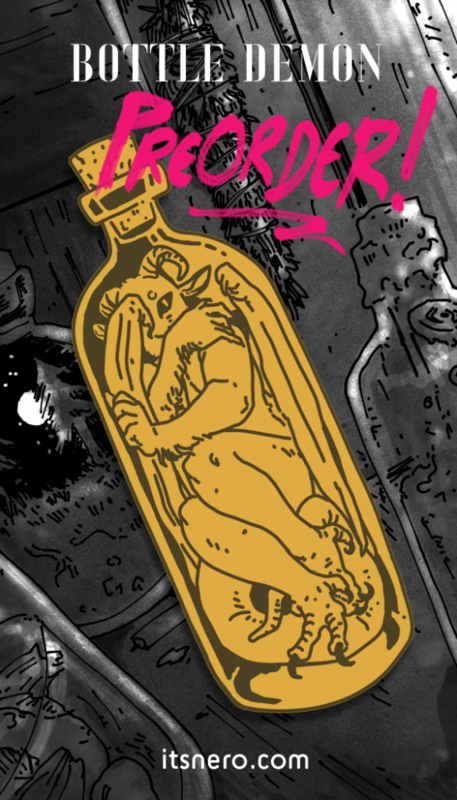 My new pin preorder is now up! 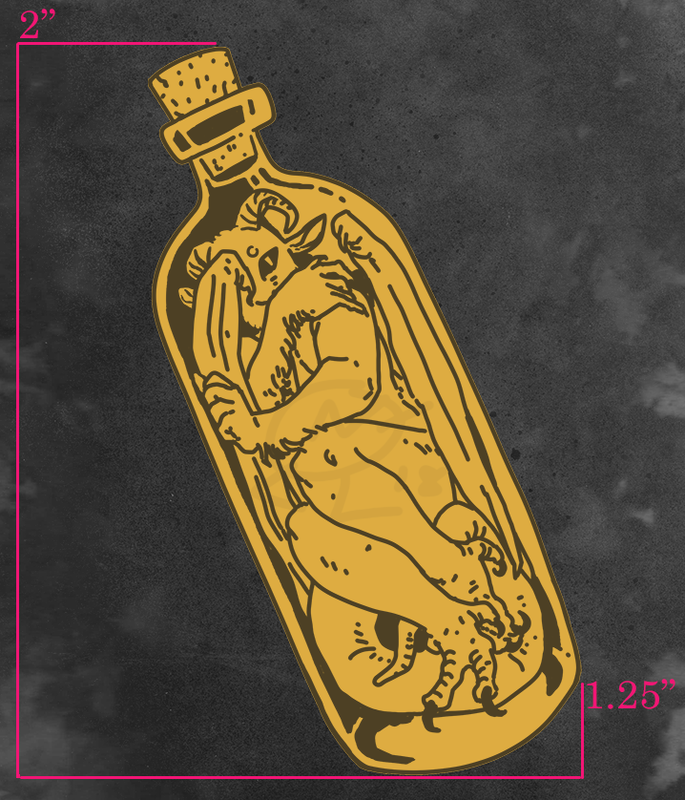 I’ve been wanting to make a die struck pin for a grip, and the bottle demon from one of my inktober pieces seemed like a good fit! $12 + S&H, I can’t guarantee Xmas delivery but it’d be pretty close afterwards! Preorders are up until the 20th- if you’re feeling thrifty, getting a subscription to my members-only blog also nets you access to the secret 30% off patron-only discount code.